China in Africa: The Real Story: Guest Post "One Barking Dog Sets the Whole Street a-Barking"
Guest Post "One Barking Dog Sets the Whole Street a-Barking"
﻿﻿﻿In early November 2011, a brief spate of headlines followed the publication of Human Rights Watch's report on labor practices in a major Chinese company in Zambia: "You'll Be Fired If You Refuse: Labor Abuses in Zambia's Chinese State-owned Copper Mines." HRW thanks me for reading and commenting on a pre-publication draft of the report. I also met with HRW's main researcher Matt Wells, a young lawyer, and several others at HRW as the idea for a report coalesced into actual research. It was clear to me that Matt Wells was trying to do a careful, balanced report, that Chinese labor practices in African mines are roundly felt to be in need of improvement. While I offered some suggestions for improvements, overall I thought the research was sound, and that Matt and HRW had done due diligence in his reporting on the realities of working for one Chinese mining company. I invited HRW and Sautman/Yan to do shorter guest posts here at China Africa: the Real Story. Barry Sautman and Yan Hairong's critique follows, and HRW's response will be in a separate post (technology limitations). The Human Rights Watch (HRW) report that singles out Chinese state-owned enterprise(SOE) China Non-ferrous Metals Mining Co. (CNMC) as 'the worst´ foreign-investor in Zambia's copper mining industry exemplifies a Chinese proverb: 'one barking dog sets the whole street barking.´ As soon as HRW leveled its accusation,thousands of media sources rephrased it as proof that 'the Chinese´ were the super-exploitersof Africa. That was entirely predictable, as the HRW report had cued such pronouncements by stating that it is 'a useful magnifying lens into Chinese labor practices in Africa´ that³begin[s] to paint a picture of China's broader role in Africa.´ HRW thereby called to mindlongstanding stereotypes of Chinese cruelty and bolstered the anti-Chinese atmosphere beingfostered by Western politicians and media in response to China's rise (See, e.g. 'On Recent Beijing Visit, a Tall Order for Zambia VP,´ Voice of America, Jan. 10, 2012). It is useful to examine Chinese firms' participation in mining in Zambia; we are doing it ourselves, at book-length. It is reprehensible, however, to claim however that CNMC is a particularly 'bad employer´ without having scrutinized in detail the practices of other foreigninvestors and without taking into account factors that explain deficiencies in CNMC's practices. Doing so would have shown that CNMC is not in fact the worst employer -- not interms of safety, wages, hours, unionization or the other matters discussed in the HRW report. The HRW report alleges CNMC 'trivializes safety´ and seeks to export to Zambia the malpractices of mining in China. These assertions are inaccurate. Fatalities are the surestguide to whether a mining firm is safety deficient. 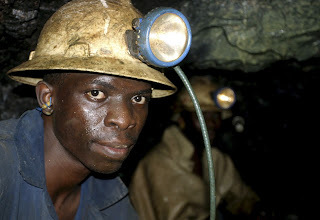 Mineworkers Union of Zambia (MUZ)statistics show that CNMC firms account for 25 of 217 fatalities by foreign-owned miningfirms from 2001-August, 2011, not a great disproportion in light of average numbers of CNMC firm workers and all foreign-owned firm miners. Account must also be taken that the mines owned by CNMC subsidiaries Non-FerrousCompany Africa (NFCA) and CNMC Luanshya are both underground, while all other firms have only open-pit or mixed operations. Fatality rates at underground mines are typically much higher than at open-pits: in the US they are three times higher. Given that difference, if CNMC firms trivialize safety, they would have significantly higher fatality rates than other firms, but they do not. These rates might approach those in non-ferrous mining in China,where they are almost three times those in Zambia, but they do not. Zambian union leaders and mining regulators all told us in 2011 that safety was a general problem in the mines and CNMC mines are about like others. Reports of NGOs on other foreign-owned mines, including Mopani Copper Mine (MCM), owned by the Switzerland- based metals giant Glencore, Konkola Copper Mine (KCM), owned by UK/Indian multi-national Vedanta, and Chibuluma, owned by white South African Metorex, found significantsafety deficiencies. There is thus no basis for claiming that the CNMC firms are 'the worst´ as to safety. HRW interviewed miners who claimed that, yet the vast majority had either worked at a CNMC firm or a non-CNMC firm, but not both. Even the few who may haveworked at both did so at different times and worked and lived in Copperbelt, the center of vicious anti-Chinese agitation from 2005-2011 by the Patriotic Front (PF), then in opposition and now the ruling party. Their conclusions about who is 'the worst´ cannot be relied upon. Wages at CNMC facilities have been lower than at most other foreign-owned mining firms.That is not justified from a political/moral standpoint, but can be explained from an economicstandpoint, which the HRW report failed to do. Instead, it exaggerated differences -- despite its own specific finding -- by asserting that 'Chinese copper mining companies offer base salaries around one-fourth of their competitors' for the same work.´ Three factors arerelevant to the wage gap: contract workers at most non-CNMC mines and lower productivityand lower profits at CNMC mines. .CNMC mines' productivity (7.1 and 7.7 tons per worker per annum) is much lower than the Zambian average (12.3 tons), due to their underground nature, lower copper content, less skilled workers, etc. The five other firms range from 10.4 (KCM) to 58.3t (Kansanshi).There is a world-wide tendency for highly productive enterprises to pay higher wages thanless productive ones. In 2009, Canada's Highland Valley Copper (HVC) produced 118,000twith 880 employees or 134t per worker, more than twice the productivity of Kansanshi, more than 10 times the China (13t) or Zambia (12.3t) average, and about 18 times the CNMCmines average. Basic salaries for HVC miners in 2011 were $5,700 a month or some 14times those at CNMC Zambia mines. If, as HRW alleges, CNMC merely exports China'slabor standards to Zambia, CNMC would pay much lower wages in Zambia than are paid atChina's (more productive) mines, but CNMC salaries in Zambia are about the same as those paid at China's copper mines. Needless to say, Western-owned mines don't pay Zambian miners anywhere near what miners in the West earn, even in purchasing power parity terms. Profit levels also influence pay levels. Other firms' profits were 1.2x (the small Chibulumamine), 7.7x (KCM), 13.2x (Australian-owned Lumwana), and 25x (Kansanshi) NFCA's 2010 3$40m profit. Other factors also influence wage levels: the high cost of rehabilitating the oldCNMC mines and constructing new mines and a smelter, as well as workers at CNMC mineshaving less seniority than at other mines, because the now-CNMC mines were shut down for long periods before they were acquired. Wages at CNMC's Chambishi Copper Smelter (CCS)are low because CNMC mines don't produce nearly enough copper to feed it, unlike withother mines and their smelters. CCS's supply of copper to smelt is erratic and its incomederives from a small processing fee, mainly to smelt non-CNMC firms' copper. HRW has claimed that 'Most miners at Sino Metals [a CNMC processing firm] and CCS reportedly work 12-hour shifts, compared to the eight-hour shifts outlined in Zambian law and standard in every other copper mining and processing operation in the country.´ That too is inaccurate: the hours that Zambian miners work do not correspond to the HRW-created impression of Chinese work-til-you-drop bosses and more enlightened Western-based firms' managers. Reports from 2009-2012 indicate that workers at KCM, Lumwana and Kansanshiwork 12-hour shifts, while workers at MCM work six and a half days a week. CCS says it has 12-hour shifts because its workers at its fairly new plant are not fully-trained and there isan insufficiency of supervisors to cover 8-hour shifts. CNMC firms are behind in wages, but roughly comparable in terms of safety and hours.They have been better in terms of job security. During the financial crisis, 30% of Zambia's miners were laid off. CNMC adopted a policy of 'three not's´: to not lay off workers, not cut back on planned investment, and not hesitate to make new investments. The policy was extended beyond workers to also encompass Zambian suppliers to CNMC firms. The HRW report also makes much of the fact that MUZ is not present at Sino-Metals andCCS, implying that CNMC is particularly anti-union. MUZ and the National Union of Miners and Allied Workers (NUMAW) are both at the two CNMC mines, where 80% of the CNMC workforce is employed and the two unions bargain together. NUMAW represents workers at Sino-Metal and CCS. The absence of MUZ at the two processing plants bearsfurther investigation, but is hardly indicative of a special anti-union animus. CNMC, like mining firms the world over, appears to appreciate unions when they get strikers back to work -- as they always try to do in Zambia, where strikes are illegal -- and oppose unions to the extent they are militant. Since CNMC is clearly not 'the worst´ when the factors neglected by HRW are taken into account, what is it? Why does HRW singled CNMC out for attack? If CNMC miners are not more deprived of labor rights than other Zambian miners, what causes miner discontent, repeatedly expressed in strikes and riots? CNMC is a fairly ordinary capitalist firm engaged in exploiting labor and resources much as Western-based mining firms do. It is distinguishable in one sense: as a Chinese SOE, it apparently does not feel as compelled as Western-based firms are to maximize short-term profits; hence the three not's policy discussed above. HRW has singled out CNMC for political reasons. Media, policymakers and other human rights groups wanted to know how HRW stood on China's activities in Africa. Western media had for five years had hugely disproportionate and almost entirely negative coverage of Chinese investment in Zambian copper mining, largely because of the racist diatribes of the PF's Michael Sata, used to drum up electoral support. HRW is almost 100% financed byWestern sources -- about 75% in North America and 25% in Western Europe. It is an exponent of Western liberalism and an opponent of the authoritarian Chinese government. As several specialists in Zambian mining have pointed out, privatization has been the major cause of the deprivation of miners' rights. When Zambia owned its mines, before the World Bank's forced privatization of the late 1990s/early 2000s, workers had a range of benefits they are now struggling to regain. Most valued of all, they had permanent, pensionable jobs, a status CNMC conceded them in 2008, but for which many miners at Canadian-owned Kansanshi had to strike as recently as last week. Many Zambian miners, other Zambians, and people elsewhere have been misled to believe that it is 'the Chinese´ or 'Chinese investors´ who have deprived them of rights. HRW has made its contribution in that regard. It is not too late, however, for HRW to do what isintellectually honest, to reflect on the mistakes and consequences of its report and issue a retraction. That would be much more beneficial to Zambian miners in their fight for rights than pretending that Chinese are the worst employers. of Pambazuka News, "Wrong Answers to the Wrong Question,"
I have found your blog instructive. But at the end of the day, it is not about what one likes or does not like. It is about defending the respect and dignity for human kind, and it is not about showing either investment from the West or China is better for Africa, or any other place in the world. I think that your blog needs to inject a sense of balance in order to overcome this binary opposition between the West or China. As a subject of a country colonized by China for 1000 years and more, and by many other external powers in shorter periods, I am historically conscious: No empire is ever benign. with that note I ask: why are we defending empire (where ever they come from) rather than the the respect for people as human beings and not just as instrument to some great project designed by some great minds that end up defend the design itself rather than what it seeks to achieve. Giving up on the respect for human kind in what ever expression (white, black, yellow, brown etc) in the defense of the righteousness of a project, policy, nation or empire seems scary to me. May be there are still some dreamers left that looks at International Relations and International Services in away that truly serve the 'international society' and its peoples in various shades, rather than serving what "i Like' and "dont't like'. There is no free gift in this world, except one that comes from the heart that sees and does not expect a return. Lets hope for a Dragon with a heart will appear, so far the scene seems to be a power game. May be economics as a field should get back to the wisdom of managing resources with the wisdom for the survival of all, rather than playing the game of 'we are here to stay' and we will show you that we are the right 'guests'. Jean Paul Sartre 's L'invitee has been an instructive novel for me.